The first Friday of Lent. We start with one of my favorite recipes. We have been making this recipes for years. 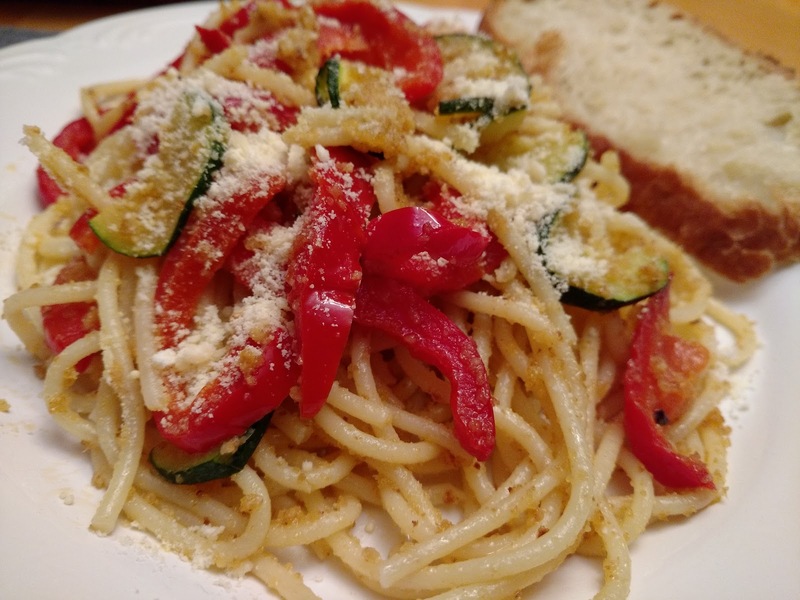 The recipe is from Jeff Smith's "Frugal Gourmet Cooks Italian." 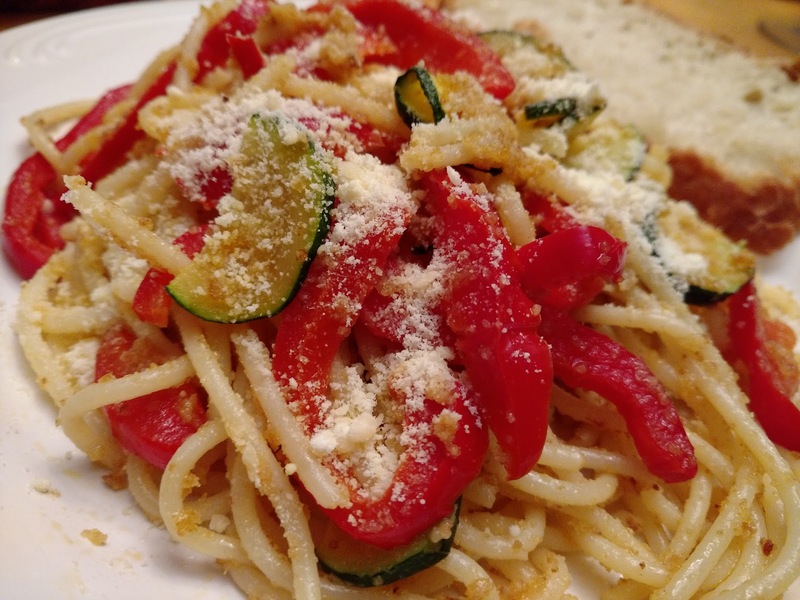 Peppers, Bread Crumbs, Crushed Red Pepper, and Pasta. Oh, I did add sliced Zucchini to the recipe tonight. Perfect for a Friday night when work went a little longer than planned. Remove core and seeds from pepper and slice thinly--julienne style. Heat a large frying pan and add 2 tablespoons of the oil. Add the pepper and saute over high heat for two minutes. The peppers should remain a little crisp. Remove from the pan and set aside uncovered. Heat the frying pan again and add the remaining oil and the garlic. Saute just a few seconds. Add the bread crumbs and red pepper flakes. Gently toast the mixture, stirring often, until very lightly browned. Boil the pasta until al dente and drain well. Return to the pot and toss with the red bell pepper and the bread crumbs.